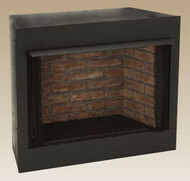 Monessen Ventless Circulating Firebox - 32", 36" or 42"
The Monessen Ventless Circulating Firebox comes out-of-the-box ready for use with any vent free gas logs that fit within the minimum hearth area. Includes Cottage Clay firebrick. 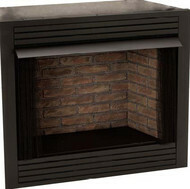 The Monessen 36" Ventless Radiant Firebox is the perfect firebox to fill any design or installation requirements; with the "clean face" design and hidden heat circulating air ducts this firebox is ideal for use with tile, marble, brick, or stone as a design feature. 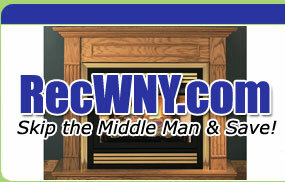 Enjoy the fireplace you've always wanted, expansive views and all. 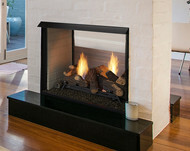 The Monessen Ventless See-Thru Firebox provides warmth and ambiance to practically anywhere.